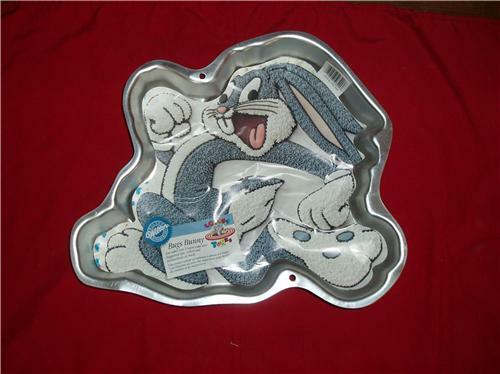 You are buying one Bugs Bunny Cake Pan from Wilton. This is a retired pan that has never been used. It may have a few scratches from storing but nothing that will affect the outcome of the cake. This pan was made in 1996. The pan number is 2105-3200. Please let me know if you have any questions. If you have any questions please Contact Me.